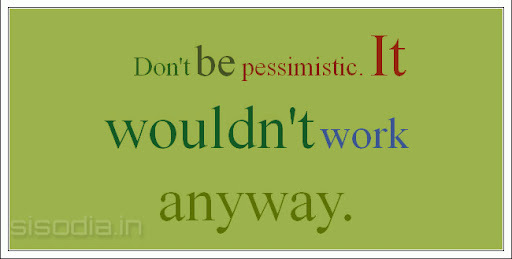 Quotes Find: Don't be pessimistic. It wouldn't work anyway. 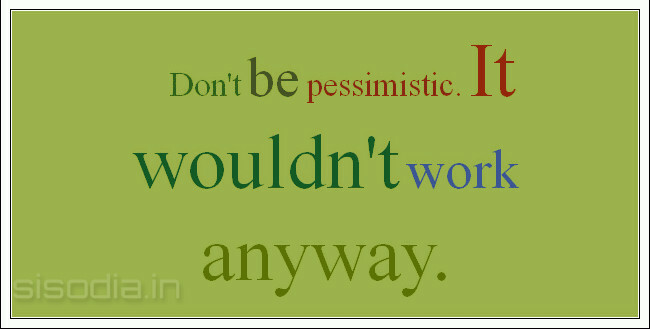 Don't be pessimistic. It wouldn't work anyway.